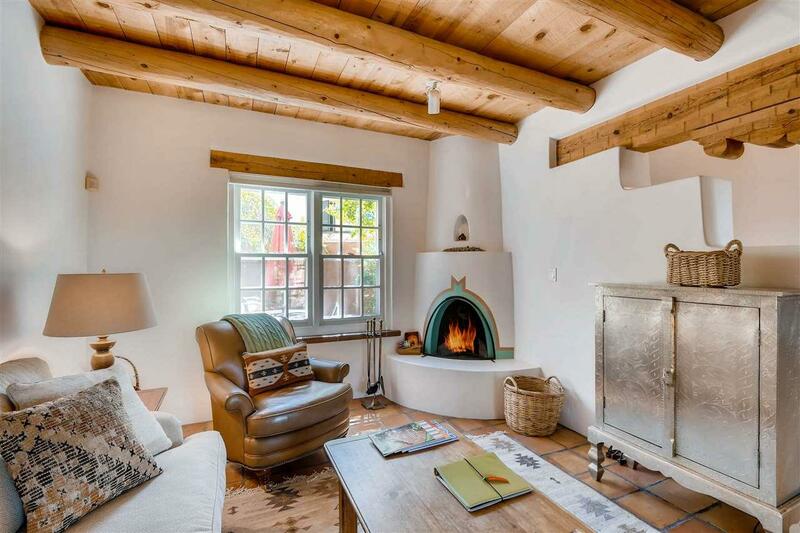 All the Santa Fe architectural details plus management to tend to every detail inside and out of this quarterownership property. Very nice two story condo, two bedrooms, each with private bath. Especially well situated on the property, this home enjoys sunset and city lights views from the upstairs deck. 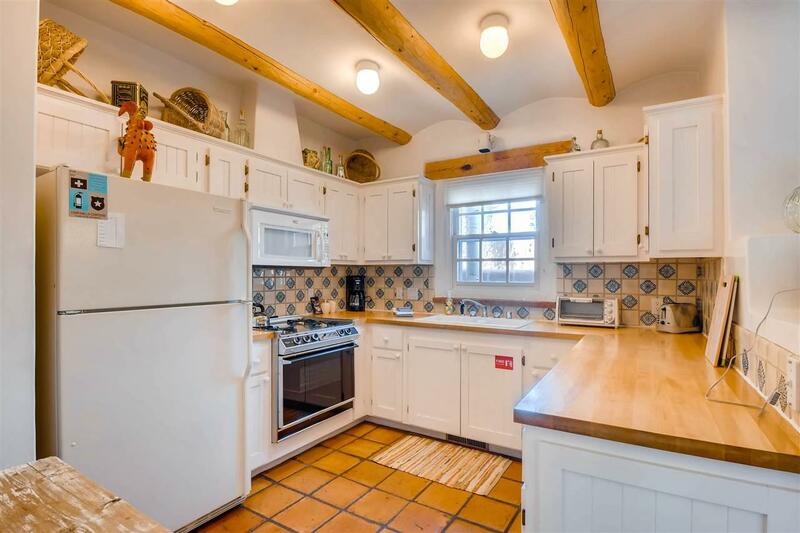 Walk through a handcrafted gate at the front entry courtyard and into a well furnished and impeccably maintained home, completely cared for by the Condominium Owners Association staff. 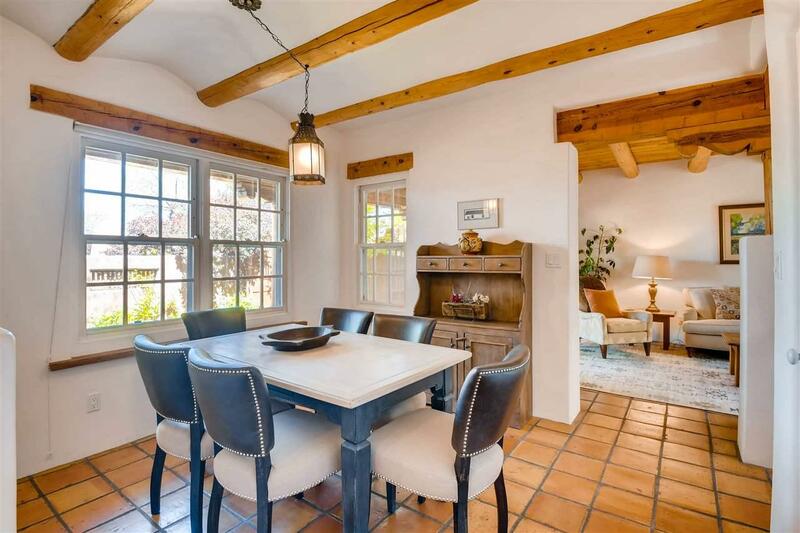 Inside are smooth plastered walls, kiva fireplaces in the living room and both bedrooms, ceiling vigas throughout, Saltillo tile and wide plank pine floors, and Talavera tile kitchen and baths. There's a completely enclosed landscaped back yard with Weber gas grill and patio furnishings for outdoor dining and quiet relaxation. The HOA provides dedicated on-site management, all building and equipment maintenance, furnishings, landscaping, cleaning, and an established rental program. Quarter-share interest available in unit 11 of Campanilla Compound. Assessments And Other Fees $1760.50 Per Quarter. Buyer(S) Pay $1760.50 At Closing To Capital Reserve. 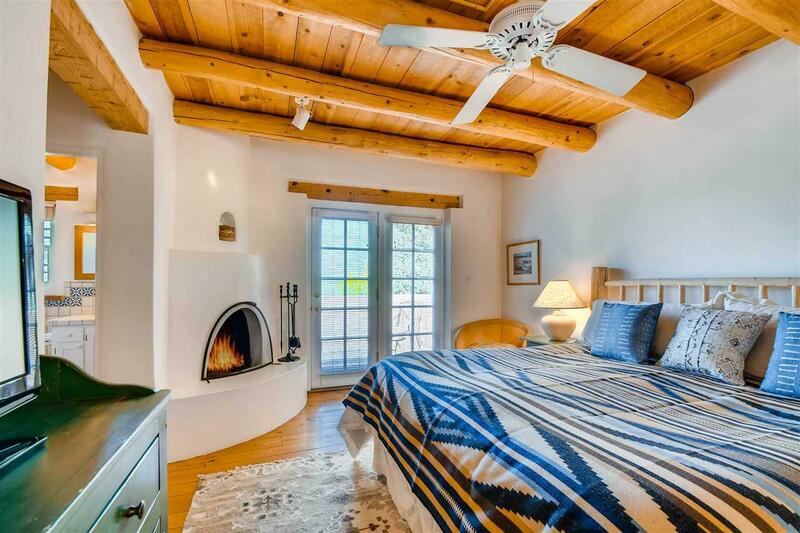 Listing provided courtesy of Gary Boal of Santa Fe Properties. © 2019 Santa Fe Association of REALTORS®, Inc. MLS. All Rights Reserved.